Hands up who loves singing along to their favourite tunes in the car? If you answered no, I would personally like to meet with you to check whether you are a robot or not. 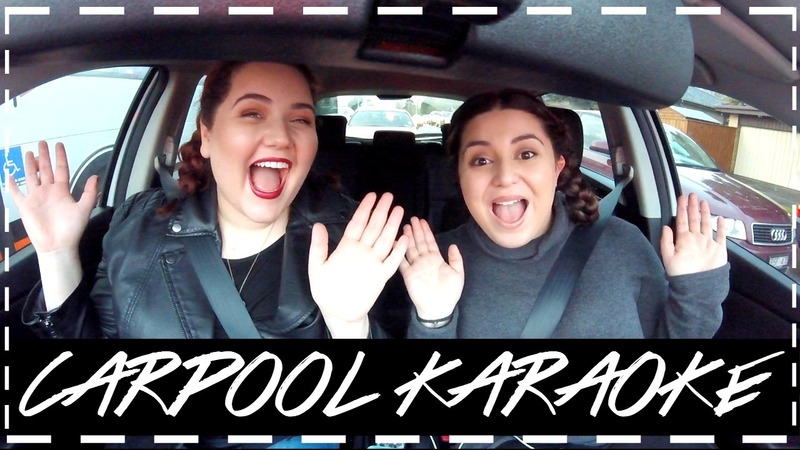 James Corden's Carpool Karaoke segments have been such a hit lately and they are some of my personal favourite videos to watch when I need a little pick me up. It is because of their popularity that I've been itching to try and make my own version and let me tell you, not only was this so much fun to film but I actually found myself laughing out loud when it came to editing this all together too. Keeping with the music theme, over on Elli's channel we have also collaborated on the Guess The Song Challenge, where we play a random playlist and try to guess the song. It was so much fun to film and also a great one you can try at home with some friends too. This post is another collaboration from my #CollabmasInJuly series with the the gorgeous Elli from YO IT'S ELLI, please go on over to her channel and check out the Guess The Song Challenge we did too. #CollabmasInJuly is the series that has been featured here on my blog and over on my YouTube Channel, AnjeliqueTV for the entire month of July! I would like to take this opportunity to thank each and every one of my collaborators for producing such magnificent work and being on board with my #CollabmasInJuly series. You are all such beautiful souls! I love how you always make those famous YouTube tags! They are so fun, loving this one! Haha aww thank you so much, I'm glad you're loving them! Haha you totally should! I'm so glad you have been enjoying it Madison!